Hello there! It’s Chloe, one of the editors of Mystraightener.com. Today we’re going to talk about the best clarifying shampoos – what are the benefits of such a product, who is it made for, and, most importantly, what is a clarifying shampoo in the first place? You’ve probably heard of clarifying shampoos at least once in your life. They work pretty much like regular shampoos, but they clean your hair and scalp deeper and sometimes harsher. That’s why it’s highly recommended to use clarifying shampoos only once a week or less frequently. Also, they help to get rid of the build-up and excess oil, so girls with oily hair will definitely appreciate a good clarifying shampoo. It goes without saying, finding the best clarifying shampoo for natural hair is quite a challenge. Then again, if your locks are dyed, you should be especially careful and picky. Because of their efficiency, even the best clarifying shampoos may strip the color away. Want to choose the best clarifying shampoo for color-treated hair? Curious what conditioner will pair with it? Wondering how to find the best clarifying shampoo at a drugstore? Let’s get started! Also, later in this very post, I’ll answer some of your questions about clarifying shampoos and share a couple of tips and tricks. Stay tuned! 2.1 Question: What does a clarifying shampoo do? 2.2 Question: What should I watch out for when using a clarifying shampoo? 3 Best Clarifying Shampoos: What Have We Learned About Them? Here are my favorite hair products, both shampoos, and conditioners. You know that following up your clarifying shampoo with a good conditioner is a must-do, right? It’s better to use a conditioner of the same brand and, preferably, of the same product line. It’s made to work in perfect sync with the shampoo to leave your tresses clean, soft, and manageable. 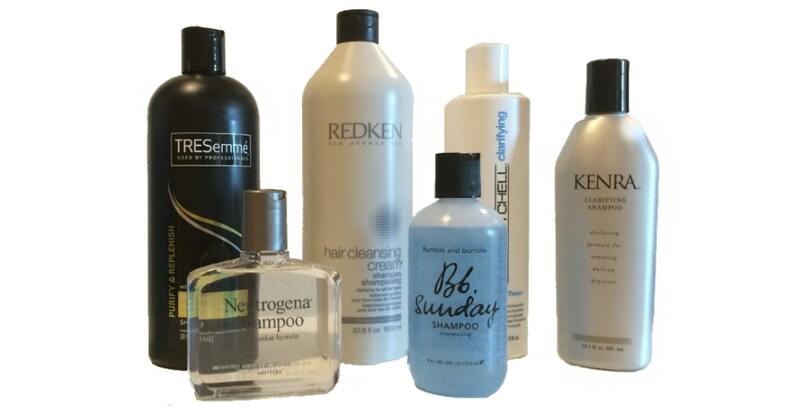 So, are you ready to find the best clarifying shampoo just for you? Then here it goes! For me, it’s one of the best drugstore clarifying shampoos that deeply cleanses and refreshes your locks to reveal their natural beauty and radiance. It’s made with the blend of essential antioxidants, aloe, and sea kelp. This product hydrates and nourishes your hair, leaving it soft and clean for more than one day. And the smell with refreshing notes of ginger blossom, floral bouquets, and clean musk is just amazing! contains SLS which is a solid flaw for some people. This product is a real catch for those who suffer from dry, dull, and unmanageable hair. Also, you will probably appreciate this shampoo if you happen to use hard or well water. It’s a great product for swimmers as well. Due to its special formula that contains extracts of grapefruit and witch hazel along with amino acid chelates, this clarifying shampoo is great at removing build-up and dulling deposits. In my experience, the color seems to be intact. The manufacturer claims that this shampoo not only is color-safe but also brightens highlighted, bleached, and gray hair. As a result, you will get clean, soft, and manageable tresses, so this clarifying shampoo for color-treated hair is worth every penny! according to some reviews, may strip away the color as it’s still a clarifying shampoo. This set includes the deep cleansing shampoo and the clarifying conditioner. Keep in mind that such a duo is very strong, meaning it will not only cleanse your hair deeply but also kind of strip it of moisture. So, you must use both the shampoo and the conditioner to minimize dryness as much as possible. And the Shea Moisture clarifying shampoo is not for everyday use. It’s better to leave it only for the cases of dandruff flare-ups. In a nutshell, these products do a great job! They soothe the itchy scalp indeed, help with dandruff, and remove build-up from styling products. They’re said even to calm the symptoms of eczema and psoriasis, but this is debatable. According to some reviews, these Shea Moisture clarifying shampoo and conditioner can’t help with those issues. one of the best sulfate-free clarifying shampoos. Not so helpful for those with psoriasis and eczema. Though my hair is naturally straight, I believe this is the best clarifying shampoo for curly locks, and I have my reasons to think so. Many of those who’ve tried out this sulfate-free clarifying shampoo state that it holds curls and even makes them more defined. Also, it’s claimed to soften hard water and prevent hard water build-up on your hair. The product contains the mandarin orange extract that gently cleans your locks and sea kelp that helps to maintain the moisture balance. After using it, hair feels squeaky clean but not over-dried. Still, don’t use it very often and try it on a small section of hair first. It’s a clarifying shampoo after all. hair may feel almost stripped, so you may want to use a co-wash to add moisture to your locks. This shampoo is recommended for damaged, dry, frizzy, curly, fine or thick hair. It’s a real catch for those with thin tresses as they look thicker and have body even the next day after washing. Besides well-known Moroccan argan oil, the product contains a UV and thermal protectant with vitamins and antioxidants that nourish and restore hair. Also, it’s enriched with vitamin E and essential fatty acids to keep your locks healthy, repairing damage caused by heat styling or chemicals during perm and dye. In my experience, it’s the best clarifying shampoo for fine hair that thickens it, hydrates, and restores the moisture level. With this product, you will get voluminous, soft, and manageable tresses – what more could one ask for? the smell may feel too strong. Tea tree oil is known for its antibacterial properties. Also, it helps to heal scalp, stimulate blood circulation, and prevent hair loss. If you’re suffering from itchy scalp, you should definitely try out this tea tree oil shampoo! It soothes the scalp and reduces itchiness, absorbing excess oil and grease that are often the cause of dandruff and itching. This product is rich in vitamins (A, B, and E) and essential oils (like rosemary, lavender, jojoba, and others) that nourish your locks. All in all, it’s the best sulfate-free clarifying shampoo with lots of benefits. may dry hair if used too often. 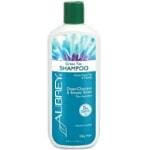 This product has everything you want from a clarifying shampoo. It deeply cleanses hair, alleviating grease and oil build-up on your skin. Also, it helps with dandruff, relieves itching, and prevents hair loss which is a serious challenge for some people. This shampoo is made with botanical ingredients like basil, lemon, rosemary, and cypress that are rich in vitamins and antioxidants. Promoting healthy hair growth, it gives you soft, frizz-free, and voluminous tresses that stay clean for more than one day. And if you’re the one to have extremely oily hair, you know that is quite a merit. just like many other sulfate-free shampoos, doesn’t lather that well. This is truly a natural clarifying shampoo that is made with 75% organic ingredients such as burdock, meadowsweet, lemon oil, sage, and so on. Organic Matcha green tea and ginseng help to protect hair, while sweet almond protein adds fullness. This shampoo deeply cleanses your locks, making them shinier and more voluminous. Since it’s a clarifying shampoo, it strips color a bit. The consistency is rather thin, so it may take some time to get used to it. On the other hand, this shampoo lathers pretty well. For me, it’s the best organic clarifying shampoo so far. might cause itching or flaking. 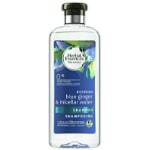 It’s a great organic clarifying shampoo that is gentle enough for everyday use. It lathers pretty well compared to other sulfate-free shampoos, and the fresh smell is amazing! 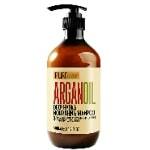 This product is made with natural ingredients like organic argan oil, organic avocado oil, and lemongrass. They deeply clarify your locks, moisturize them, strengthen the follicle connection, and provide vitamin B12. 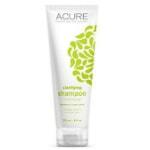 After using this Acure clarifying shampoo, hair feels soft and looks shiny. In my experience, the product doesn’t overdry my locks, but you should always be careful with clarifying shampoos to keep your hair’s moisture balance. For me, it’s the best daily clarifying shampoo on the market. may weigh hair down or make it a bit oily, especially if you’re the one to have thin tresses. If you’re the one to suffer from oily hair, this TRESemmé clarifying shampoo is a real deal! With it, greasy and oily hair stays clean and fresh longer, something like two or three days. Also, it looks shiny and more voluminous. Infused with lemon and grapefruit extracts, this shampoo gently removes that nasty build-up and heavy residue from waxes, sprays, and other styling products. Coming in quite a large bottle, it’s one of the best cheap clarifying shampoos I know of. The only thing is, it may dry hair if used too often. 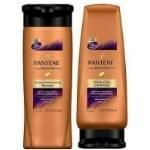 So it’s better to follow up this shampoo with a conditioner of the same brand to restore the moisture level. in rare cases, may cause dandruff. It’s a clarifying shampoo to use once a week (or less) to deeply cleanse your locks and get rid of all that nasty build-up. After washing, hair feels soft and more manageable. Some people also claim that it helps to reduce itching and cut down flaking if you happen to have such issues. Scented by fresh apple and pear, this hair clarifying shampoo has a pleasant smell. Since it’s not a smoothing shampoo, hair may feel more lightweight and prone to frizz after washing. Keep in mind that this product isn’t meant to be used every day and you should use your regular shampoo for the rest of the week. And it’s always good to follow up this Fekkai shampoo with a moisturizing conditioner. I love the Paul Mitchell hair products, so it’s no wonder that this set has made its way into my top-list. 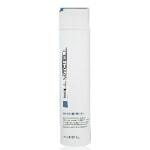 This Paul Mitchell clarifying shampoo removes build-up from hair, including chlorine, iron, and minerals, so it’s a real catch for swimmers. It can actually help to get green out of hair after swimming in an over-chlorinated pool. Also, this shampoo is helpful for those with hard or well water as it removes sediment from water. Just remember that it’s a powerful clarifying shampoo after all, so you should use it like once a week or less frequently. This Paul Mitchell shampoo pairs wonderfully with the conditioner of the same brand. 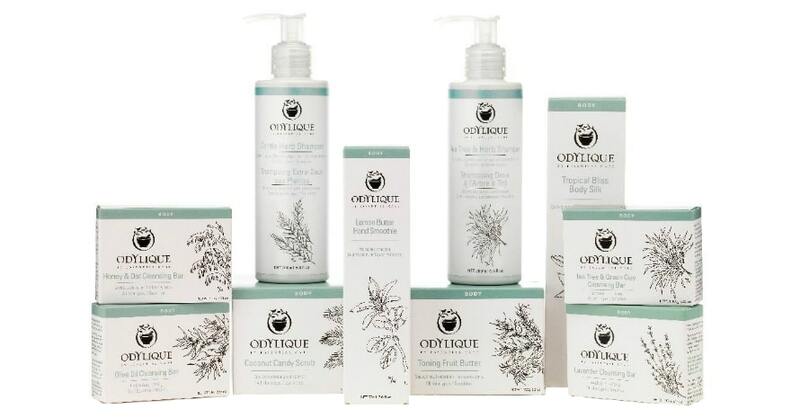 The latter contains jojoba, aloe, and rosemary extracts along with other natural ingredients. This conditioner moisturizes your precious tresses, smoothes them, and reduces static. Also, it doesn’t weigh hair down which is probably one of the things you want from a good conditioner. has a nice subtle smell. One of the main ingredients of this product is volcanic ash which is pretty unusual, isn’t it? Gently exfoliating your scalp and hair strands, it removes dirt, oil, and build-up from other styling products. There are also seal kelp extract, green tea extract, and eucalyptus that strengthen your locks and invigorate the scalp. This clarifying shampoo is great at removing mineral build-up from hard water and chlorine. What’s important, it doesn’t weigh hair down or leave it oily. You will get shiny, soft, bouncy, and easy-to-manage tresses that are a joy to look at! leaves you with soft, manageable, and shiny tresses. This set includes two products that are formerly known as the Pantene clarifying shampoo and the Pantene deep conditioner. For me, it’s the best clarifying shampoo for black hair, especially African-American one. And if you’re using a relaxer, it’s one of the best shampoos for relaxed hair as well. Your curls will probably come along great with the help of these shampoo and conditioner. The Curl Defining conditioner will moisturize, detangle, and define your precious curls. All in all, this set is worth every penny! hair feels soft and well-moisturized. the changing of names is a bit confusing. This cheap clarifying shampoo features the gentle and mild formula that is recommended for all hair types, including color-treated hair. According to the manufacturer, it helps to remove up to 90% of the build-up from styling products and other shampoos. Hair feels clean, soft, and more voluminous. At the same time, it’s still a powerful clarifying shampoo, so you should use it like once a week or once a month. It may dry hair if used too often. 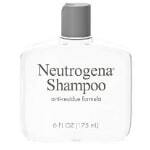 And it’s definitely better to follow up this Neutrogena clarifying shampoo with a good conditioner. for me, the smell is too strong. Question: What does a clarifying shampoo do? A clarifying shampoo is pretty much like any regular shampoo but with one telling difference. Clarifying shampoos are made to deeply cleanse not only your locks but also the scalp to remove excess oil, dirt, and build-up from numerous styling products. Some clarifying shampoos can soften hard or well water, while others are great at removing chlorine which is pretty helpful for swimmers. Since clarifying shampoos are stronger than regular ones, people often use them to remove color or to prepare for hair dye. Question: What should I watch out for when using a clarifying shampoo? As I said before, these products are stronger than regular shampoos. If not used properly, they may strip your hair of color and natural oils, leaving it dry and dull. It’s highly recommended to use clarifying shampoos once a week or even less frequently. Combine it with your favorite daily shampoo for better results. Even if you have oily hair, you shouldn’t use a clarifying shampoo too often. And if your hair is color-treated, you should be especially careful when choosing such a product. Some clarifying shampoos are claimed to be safe for dyed locks, but in practice, they still strip color a bit. At least avoid using a clarifying shampoo right after hair dye to protect the color. Since clarifying shampoos are made to cleanse your hair deeply and make it squeaky clean, you definitely want to use a conditioner after washing. Though some clarifying shampoos are said to be moisturizing and gentle, a good conditioner won’t hurt anyway. It will prevent dryness and restore the needed moisture balance so that your hair will be not only clean but also soft and manageable. Best Clarifying Shampoos: What Have We Learned About Them? I guess this is it! Now you have as many as 18 products to choose from, whether you need the best clarifying shampoo for color-treated hair or a moisturizing conditioner for dry locks. I’ve tried to highlight their strengths and benefits as well as some weaknesses so that you can find the perfect products for your precious tresses. Pay attention to whether the shampoo is safe for color-treated hair, if it removes just oils or mineral build-up as well, and how often you’re supposed to use it. Also, take a closer look at the ingredients. Natural ingredients such as oils and herbal extracts are considered to be beneficial for your hair health. In this very post, I’ve mentioned the benefits of some ingredients that you can find in clarifying shampoos. Finally, consider the outcome: how does your hair look and feel like after using that particular shampoo. Some people want their locks to be soft and manageable, while others crave for more shine and volume. Whatever clarifying shampoo you’re using, don’t neglect the general recommendations. Remember that you’re supposed to use a clarifying shampoo on a weekly basis, if not less often. That depends on your hair type and overall condition as well as the kind of water you have. For instance, if you use quite a lot of styling products and the water in your house is hard, washing your hair with a clarifying shampoo once a week will help to remove build-up. And if you happen to have soft water, plus you appeal to styling mousses and sprays once in a blue moon, using a clarifying shampoo monthly is probably enough. Also, be careful with color-treated locks. Even though many manufacturers claim that their product is safe for dyed hair, it usually strips the color to some extent. As you can see, the clarifying shampoo is quite a powerful product that must be used wisely. And you should definitely follow it up with a good moisturizing conditioner. Whether you’re looking for the best clarifying shampoo for natural hair or the best conditioner for dry ends, take a closer look at the features of the product. For instance, my sister likes the Suave Naturals Daily clarifying shampoo for her natural locks. It seems to remove residue without stripping moisture, makes hair soft, and has a pleasant smell. At the same time, this Suave clarifying shampoo may be the reason for color fading (just like many other clarifying shampoos though). That’s why I don’t use it very often on my black, color-treated hair. Ladies, what is your experience with these products? 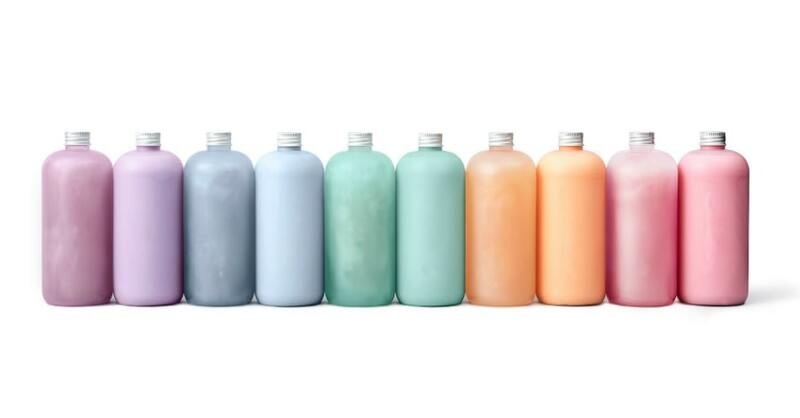 Which one do you find to be the best clarifying shampoo for you? 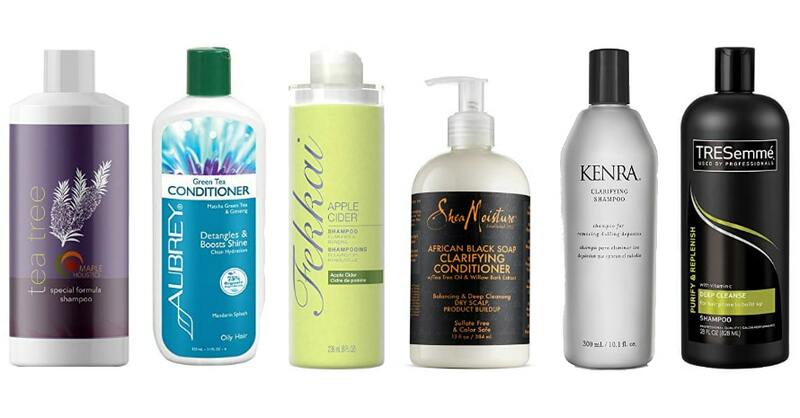 What conditioners do you use for your hair to stay moisturized and nourished? I will be happy to read your comments and answer your questions! Next Next post: Best Purple Shampoos: How to Make Your Beautiful Blonde Stay Longer?